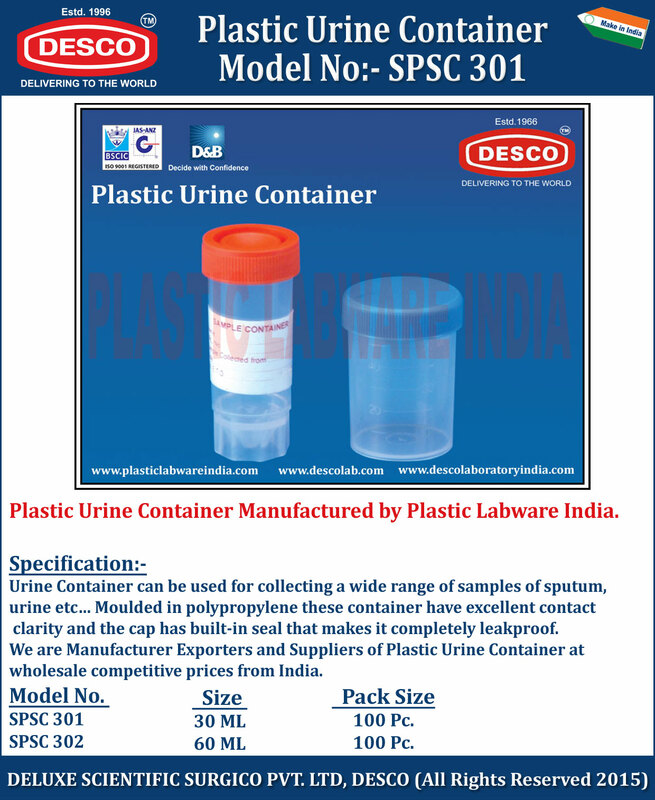 Urine Container can be used for collecting a wide range of samples of sputum, urine etc… Moulded in polypropylene these container have excellent contact clarity and the cap has built-in seal that makes it completely leakproof. We are Manufacturer Exporters and Suppliers of Plastic Urine Container at wholesale competitive prices from India. SPSC 301 30 ML 100 Pc. SPSC 302 60 ML 100 Pc.